Jaguars running back Leonard Fournette made his pro debut last night against the Patriots. Expectations were high for the rookie, who was drafted with the fourth overall pick--but apparently he's confident he'll live up to them. Per NFL.com, Fournette called playing against the Patriots "really easy." It's a lot slower than I really thought. That's how I've been since I first got into the NFL. A lot of people were like, 'It's going to be fast.' But by me playing in the SEC, that kind of helped me a lot. I think, to me, it was really easy." 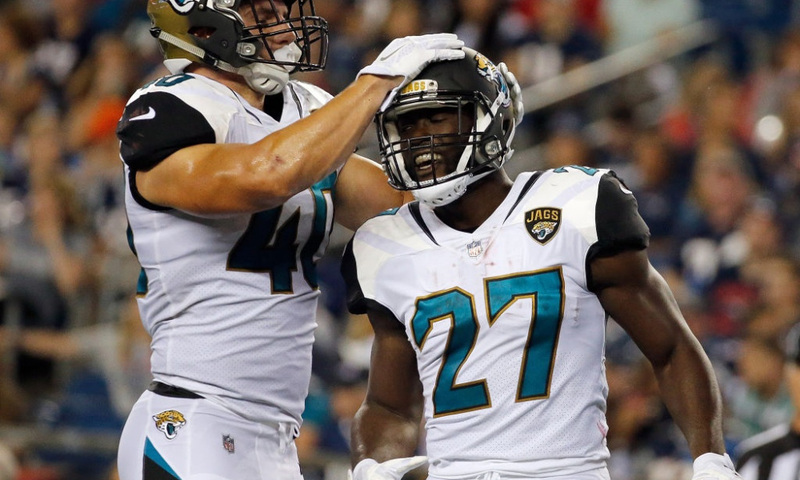 Standing in the middle of the visiting locker room at Gillette Stadium on Thursday night, I asked Jacksonville Jaguars rookie running back Leonard Fournette, the fourth overall pick in this year's draft who had just completed his first preseason game, if he could do what Elliott had done during his rookie season. "Yeah. I think so," Fournette said very matter-of-factly, without the slightest smile, following the Jags' 31-24 win. There's plenty of time for Fournette to get his feet under him before the regular season starts. And to be fair, he was one of the most dominant running backs in the country over his career at LSU. But gauging by his performance last night, he has a long way to go before he can be considered the second coming of Ezekiel Elliott.